WELCOME! | Christmas All Year ~ It's Ever Christmas! Also, I enjoy Christmas, its Spiritual ambiance and sense of prosperity, that is so richly present in December, each year! I love to experience, create and share that level of ‘Christmas Bliss’, year-round! I’ve noticed that one delightful way to initiate/create that bliss is through Christmas décor! We see Christmas décor on display, in most areas, immediately after October ends and stay on display into January. There are others that share my interest and desire in enjoying ‘Christmas Bliss’, all year! If you’re a person that enjoys ‘Christmas Bliss’ this much, you’ve probably thought of incorporating the beauty and ambiance of the décor year-round, too! Do you love this idea, yet do not want to install the decor yourself? If so, that’s where I can step in and install the bliss-inducing, gorgeous décor for you, and update it! Now, I am offering Christmas décor installation service all year! I learned to do Christmas Décor Styling while working for Macy’s (one of my favorite retailers) as a Christmas Holiday Visual Merchandiser. Also, I’ve worked with Rich’s, Christmas on the Mall Galleria, and Bed, Bath & Beyond! 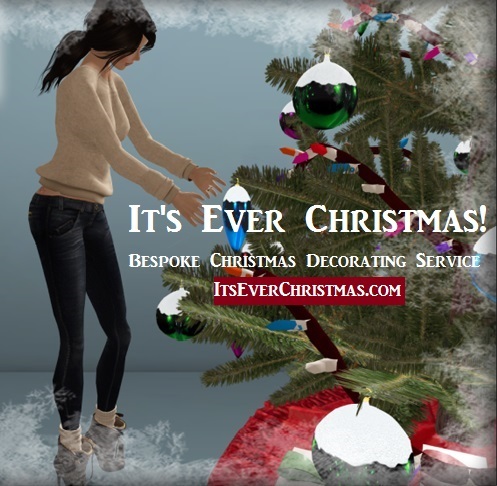 In time ‘It’s Ever Christmas‘ (formerly ‘Christmas All Year by Michelle Boddie‘) will feature images of Christmas décor I’ve staged/styled for various clients, year-round. Do you have Christmas décor projects for me? Let’s connect and chat about your projects! Before you leave, today, be sure to enjoy the Christmas-themed quotes, images and other posts featured at the ‘Blog’ section! Thank-you for stopping by and visiting with me, via this blog! Come back, soon!